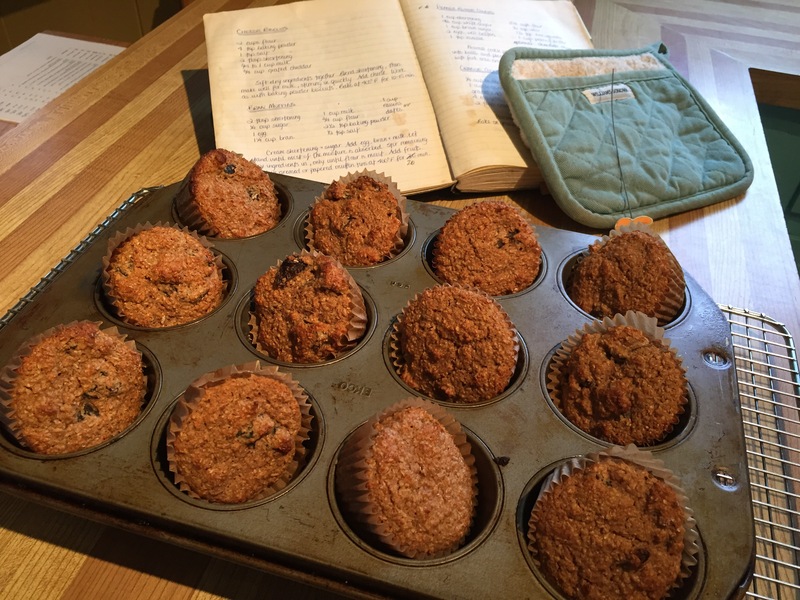 My mom always put dried fruit in her bran muffins, and I think that is the secret. If you are a purist I suppose you could leave out that ingredient but why? Combine the vegetable oil and honey in a medium bowl. Stir in the egg, buttermilk and then bran. Let sit so bran absorbs the liquid. Meanwhile, mix the remaining dry ingredients in another medium bowl. Add in the dried fruit and stir to coat. (This prevents the pieces from sinking to the bottom of the muffin cups.) Stir into bran mixture just until blended. Put paper muffin liners in muffin pan. (Don’t bother trying to grease the pan, they always stick.) Fill just to the top, and bake for 20 minutes. Let cool in muffin pan. Store in an airtight container.